Norwich City have been warned not to be under any illusions when they travel to take on Manchester United this weekend. The Canaries are one of only three teams this season to have taken maximum points against the runaway leaders in the Premier League. But any hopes of them completing an 'easy double' over Sir Alex Ferguson's men should not be entertained. That's the message from United striker Danny Welbeck, who insists next week's glamour Champions League second-leg tie with Real Madrid is still far from their minds. While Old Trafford fans are licking their lips in anticipation of Jose Mourinho's team arriving in town, Norwich should not be fooled. Welbeck insists: "The manager and the coaching staff keep reiterating the fact that the next game is the most important. "I think the whole squad has got that into their heads and we've all got the same mentality of going into the next game and needing to win to gain momentum. "Once we come to the Real Madrid game, we'll see what happens." United are 15.00 to thrash the Canaries 4-0, with Welbeck available at 5.50 to open the scoring. Meanwhile, they can be backed at 8.00 to clinch this season's Champions League and at 3.25 to win the FA Cup. Don't forget, all Premier League matches by the bet365 100% Euro Soccer Bonus, where you could earn a bonus of up to 100% on your returns on pre-match accumulator bets. Argentinian striker Sergio Aguero has delivered a major tonic to Manchester City by insisting he has no plans to quit this summer. The 24-year-old has been linked with a return to Spain, with Real Madrid said to be poised to make a mammoth £50million offer to secure his services. The speculation has increased ever since Aguero recently split with his long-time partner and he is currently living apart from his son, Benjamin. But Aguero, who has hit 43 goals in just 79 games for the Blues, insists he is more than content at the Etihad Stadium. He will be looking to add to his 13 goals this season and keep City's slim title hopes alive when Roberto Mancini's side travel to take on Aston Villa next Monday. City are 12.00 to beat Villa, 1.80 to be relegated this season, 3-1. Aguero, 4.75 to open the scoring against Paul Lambert's Villa side, insists: "I am very happy at City and I feel very appreciated here, which means a lot to me. "It's been barely more than a year-and-a-half since I arrived and sometimes it feels like I have been here all my life. "I keep a symbiotic relationship with the fans that always remind me of our title and that goal against QPR. How could I forget that? More to the point, why would I want to forget that?" Norwich manager Chris Hughton admits his side are struggling to find consistency in the Premier League this season. City started the season in great form, reaching seventh in the league in December, but then failed to win a game until last weekend's last-gasp victory over Everton. That win took them to 12th, eight points off the drop zone, as they look to consolidate in the top-flight following promotion, and they are now 17.00 to be relegated. 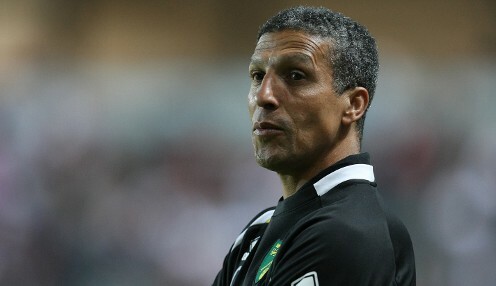 Hughton takes his side to Old Trafford on Saturday hoping to avoid conceding five goals for the fourth time this season. City are 9.00 to keep a clean sheet, while a 1-1 draw can be backed at 9.50. "The teams that can be consistent are the teams that are used to this division, have the quality and are regular members of the division," said the Canaries boss. "We are still striving to be that and along the road come the inconsistencies. "However, in the end, there is only one thing that matters and that is we have enough points to still be in this division." Kei Kamara, who scored his first goal since arriving on loan from Kansas City against Everton, is 19.00 to score first against United. Former Liverpool manager Rafael Benitez confirmed after Chelsea's FA Cup victory at Middlesbrough that he will be leaving the club at the end of this season. The 52-year-old also described the decision to give him the title "interim manager" at Stamford Bridge as a "massive mistake". In an explosive press conference after Chelsea's 2-0 victory at the Riverside Stadium that set up a sixth-round encounter with Manchester United, Benitez said: "Chelsea gave me the title of interim manager, which is a massive mistake. I'm the manager. "The fans are not helping us. At the end of the season I will leave. They don't have to worry about me." Benitez, as he has been throughout his tenure at Stamford Bridge, was booed by a section of his club's own supporters on Wednesday. He said of those fans: "This group of fans are not making any favourites with the team and they are singing and wasting time preparing banners. They have to concentrate on supporting the team, that's what they have to do. "I am a professional and I am doing my job. What I want to do is win every single game for Chelsea." Benitez has been in charge of Chelsea for 27 matches since succeeding Roberto Di Matteo but the Blues have won only 14 of those. They are 19 points behind leaders Manchester United and are 1.25 to finish in the top four this season. Chelsea are also 6.50 to win the FA Cup and 4.50 to clinch the Europa League. Don't forget, all of the fantastic markets , including In-Play betting, can be accessed on mobile or tablet with bet365 On The Move. Midfielder George Lambadaridis has signed a new two-year deal with Brisbane Roar. The 20-year-old has only played three games for the Roar this season, but coach Mike Mulvey regards him as having plenty of potential. Former Brisbane coach Ange Postecoglou, who led the Roar to back-to-back championships, recruited the midfielder in September 2011 after he came through a trial. He inked a two-year youth contract but was handed a debut against Central Coast last February and netted a long-range goal away to Gold Coast United. Lambadaridis said: "It's fantastic to secure your future and I just want to thank the club for giving me the opportunity to stay here for another two years. "I look forward to continuing my development here as a footballer and maximizing my first-team opportunities." Mulvey said the player had taken his game to a new level since he took over as coach. "I'm happy to sign him because he's a talented, versatile young player with a good passing range and an eye for goal," he said. The defending champions face a tough sequence of games over the next three weeks as they look to grab a Finals Series spot. Roar face three of the top four sides, starting with a trip to Hindmarsh Stadium to take on Adelaide United on Saturday night. They then face Melbourne Victory at Suncorp Stadium and the top-placed Central Coast Mariners in Gosford. Brisbane have spent the majority of the season outside the top six, and were bottom of the ladder for eight weeks. Brisbane Roar are 2.60 to beat Adelaide United, who are 2.60. Central Coast are 2.62 to beat Western Sydney, who are 3.20. Don't forget all of the fantastic markets, including In-Play betting, can be accessed on mobile or tablet with bet365 On The Move. Striker Ryan Griffiths has ended his second spell with Newcastle Jets and joined Chinese Super League club Beijing Baxy. The 32-year-old leaves after playing 55 A-League games with the Jets and scoring 19 goals. He returns to China where he played for Liaoning and Beijing Guoan between 2007-2010. Griffiths had a year to go on his Jets contract, but was granted a release by the club. Capped five times by the Socceroos, the forward said his move was down to personal reasons. He said in a statement: "This was a hard decision because I love this club and town but I needed to consider my young family and do what is best for them and, right now, that is going to play in China. I will always appreciate the management of the Jets for supporting me at this point in my career." 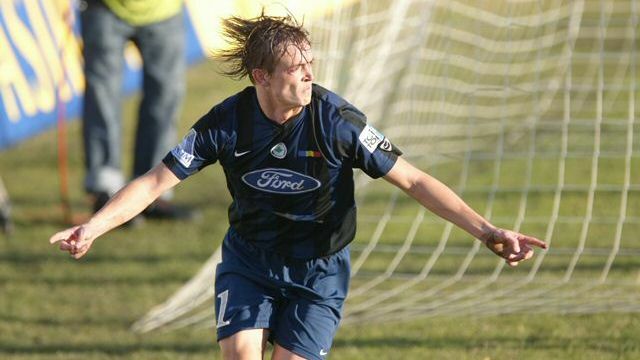 Griffiths had started his club career with Northern Spirit in the NSL and later played for two clubs in Romania. Jets coach Gary van Egmond said: "While our preference was for Ryan to stay, we understand at 32 years of age, going over to China now secures his family financially." Newcastle chief executive Robbie Middleby paid tribute to Griffiths' efforts for the club. "It is disappointing to lose a player like Ryan but we didn't want to stand in his way, when making this move was important for his family," Middleby said. The striker leaves the Jets handily placed to qualify for the Finals series for the first time since 2009/10. Griffiths has scored nine goals this season, including a brace of penalties in the week 19 clash with Sydney FC at Hunter Stadium. Newcastle Jets are 4.33 to beat Melbourne Victory, who are 1.75. Perth Glory are 2.00 to beat Sydney FC, who are 3.60. Tottenham Gylfi Sigurdsson says the race for the top four won't be decided by this Sunday's north London derby but concedes the game with Arsenal is massive. Spurs were able to maintain their four point advantage over their local rivals thanks to Gareth Bale's late winner in the 3-2 win at West Ham on Monday night. The result also lifted Andre Villas-Boas's men above London rivals Chelsea as the chase for a Champions League spot continues to heat up. Spurs are now priced at 1.53 to finish in the top four, while the Blues are 1.25 and Arsenal are 1.90. Last year the Lilywhites finished fourth but didn't qualify for the Champions League after Chelsea won the competition. Tottenham are determined to put right the wrongs of last term and could take a giant step towards securing a top four finish if they can defeat fierce rivals Arsenal. The Gunners have won the last two encounters, both at the Emirates Stadium, 5-2 but haven't been in the best of form lately, despite last Saturday's 2-1 win over Aston Villa. Arsenal boss Arsene Wenger is under intense pressure to make sure his team finish in the top four and a win on Sunday could go a long way to appeasing the restless natives at the Emirates. 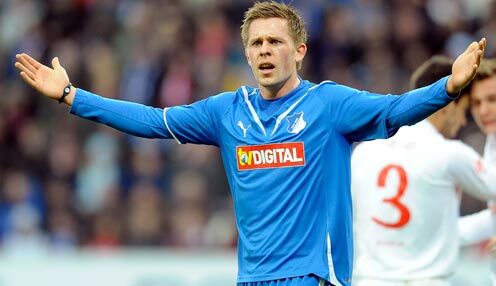 With so much riding on the game Sigurdsson admits the contest is a big one. However, the Icelandic midfielder is keen to stress that a defeat for either team won't be catastrophic and expects the fight for the top four to go down to the last day of the season. "It is going to be a massive game for us," Sigurdsson said. "First, though, we have to beat them to start thinking about that. It will be a great atmosphere. Hopefully we can get a win and stay above Chelsea." Don't forget all Premier League matches by the bet365 100% Euro Soccer Bonus, where you could earn a bonus of up to 100% on your returns on pre-match accumulator bets. West Bromwich Albion boss Steve Clarke retains some hope that his club could retain the services of loan striker Romelu Lukaku beyond the summer. The 19-year-old has netted 12 Premier League goals for the Baggies this season following his arrival on loan from Chelsea and the Belgium international is 67.00 to be the top-scorer in the top-flight. Clarke accepts that the chances of keeping hold of Lukaku are slim, but will wait until the summer to see what the Blues have planned for the frontman next term. "Chelsea are his parent club, he is their player and they will decide what they want to do first and foremost," Clarke said. "Then, after that, hopefully we will get a chance to put ourselves in the hat. "If Chelsea want to loan him out for another season somewhere, I think we would have a strong chance of getting him back here. "He has all the attributes to be a really top player. We're just pleased that he chose to come to us to get more minutes on the pitch in the Premier League." 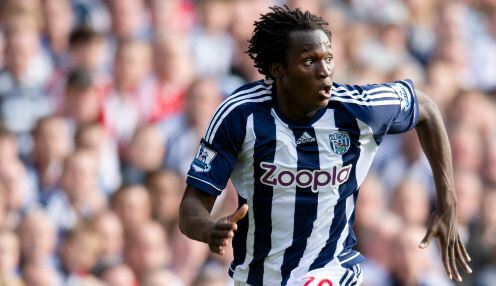 Lukaku will be forced to take a watching brief this Saturday when the Baggies head to Stamford Bridge to take on Chelsea. Albion are 4.75 to earn a draw and 21.00 to repeat the 2-1 victory they secured at The Hawthorns in November, while the Blues are 1.40 to win on home turf. Real Madrid goalkeeper Iker Casillas has warned his team mates Barcelona will be out for revenge in Saturday's El Clasico after their Copa Del Rey exit. Los Blancos came away from the Nou Camp on Tuesday night with a famous 3-1 win that saw them advance to the final of the Copa del Rey. Two goals from Cristiano Ronaldo and one from Raphael Varane saw Real upset the La Liga leaders on their own turf after the first leg at the Bernabeu had finished 1-1. The two giants of Spanish football are set to quickly renew acquaintances again this Saturday in Madrid when they meet in the league, a game Barca are 2.25 to win, with Real 2.90. Having been dumped out of the Copa del Rey by their biggest rivals Casillas is predicting the Catalan club will come out firing on all cylinders this weekend in an attempt to gain a measure of revenge. "I know several players from Barcelona and I know they are competitive. We have to be aware that in the league, when we do not win, the fans suffer and it is our duty to fight in every match and the next one is against Barcelona," he said. The visit of Barcelona to the Bernabeu is the second in a run of three huge games for Jose Mourinho's men, with a trip to Manchester United to come on Tuesday. Real head to Old Trafford for the second leg of their Champions League last-16 tie hoping they can produce a similar performance to the one that saw off Barcelona in the Copa del Rey. A repeat of the scoreline from the Nou Camp will see Real advance to the quarter-finals at the expense of one of their main rivals, and Casillas is confident his team mates have that kind of performance within them. "We have to transfer this to the match against Manchester United. It is also 1-1 and we have to score and keep a clean sheet. 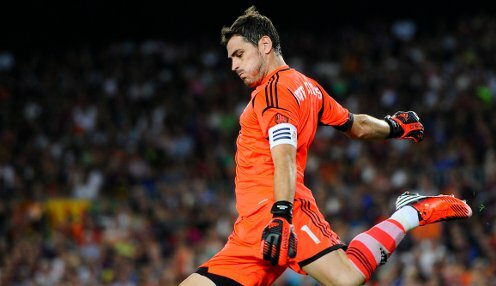 That's the aim that we're going with," said the Spain goalkeeper, who is currently sidelined through injury. "Manchester United know how to play football, it is a difficult place to go to and we have to take what we have done (against Barca) to Old Trafford." United are 3.00 to beat Real next week, with the visitors 2.30 and the draw 3.60 in the full-time result market. Don't forget all of the fantastic markets , including In-Play betting, can be accessed on mobile or tablet with bet365 On The Move. Arsenal have been told to blow their cash pile if they want to compete with the elite once more. The Gunners revealed this week they have cash reserves of £140million sat in the bank, despite seven years without silverware. The cash tills at the Emirates Stadium continue to ring, but fan groups are now looking for more bang for their buck. Arsenal are still in this season's Champions League but face a daunting task in trying to turn around a 3-1 deficit against Bayern Munich when they travel to Bavaria later next month. And Arsene Wenger's side must also keep up the pursuit of a top-four finish in the Premier League when they face north London rivals Tottenham at White Hart Lane this coming Sunday. Former Arsenal hero, Ray Parlour, now a TV and radio pundit, feels his old club need to be realistic about how they now intend to move forward. 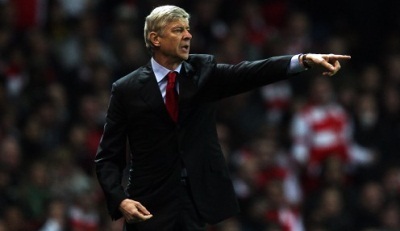 The one-time England midfielder insisted: "This summer Arsenal need three or four top-quality players. "The players that they have brought in have not been up to the standard needed to challenge Manchester United and City and compete in Europe as well. They need to go up a level." Arsenal are 1.90 to finish in the top four this season, with Spurs 1.53 and Chelsea 1.25. Manchester United defender Patrice Evra insists life couldn't be better - both on and off the pitch with the Premier League leaders. The French left-back has silenced those critics who felt he was on the downturn last season. A series of indifferent displays, most notably during a 6-1 mauling by rivals, Manchester City, had United fans calling for him to be replaced by a younger model. But the 31-year-old has bounced back in style this season and is currently displaying some of the best form of his entire career. Evra has also chipped in with four goals this term, as Sir Alex Ferguson's men continue to lead from the front at the top of the Premier League. 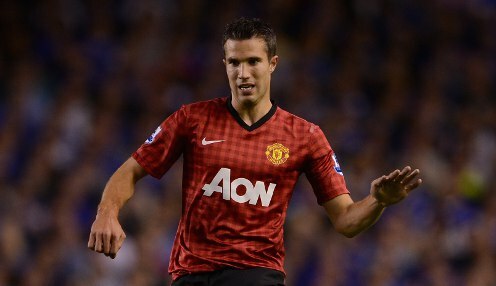 The Red Devils host Norwich City at Old Trafford this weekend and the Frenchman insists: "I am just feeling confident. I am happy in my life and work. "I know I have to keep working hard and keep going. There is a standard you have to reach for Manchester United. You have to be the best in your position." United are 1.33 to win at home to the Canaries on Saturday and 6.50 to secure a 2-0 victory at Old Trafford, while the Red Devils are now 1.02 to be crowned Premier League champions. Interim Chelsea boss Rafa Benitez believes that his side can secure a top-three finish in the Premier League, as they aim to continue their defence of the FA Cup. The Blues dropped down to fourth place in the league due to Spurs' 3-2 win at West ham on Monday evening, but Benitez still has faith that his squad can hit back to finish in the top three. He said ahead of the FA Cup fifth round trip to Middlesbrough: "We have had a lot of very good games this year and we have a very good group of players. "If we do the things we have to do, we can win against anyone. This team finished sixth last year. We have to fight now for the top three. "This is a good team with good players. Our target is to finish in the top four, top three. We will see. "The competition for the top four will go until the end of the season, that was my opinion before and it still is now." Benitez will be without defenders Gary Cahill and Cesar Azpilicueta for the trip to the Riverside, with Chelsea 1.45 to win in normal time and 7.50 to secure a 2-0 victory in 90 minutes. The winners of the tie will face Manchester United at Old Trafford in the sixth round, with the Blues 7.50 to win the FA Cup this season, having beaten Liverpool 2-1 in the Wembley final last term. Swansea City chairman Huw Jenkins is hopeful that manager Michael Laudrup will remain with the Capital One Cup winners for at least one more season. 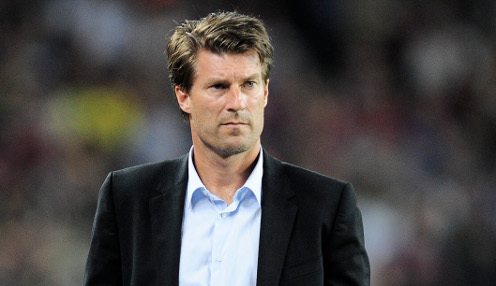 Laudrup has enjoyed a fine first season in charge of the Swans, guiding them to their first-ever major domestic trophy. However, talk has now switched to the former Denmark winger's future at the Liberty Stadium, with his current contract running out in the summer of 2014. An upbeat Jenkins said: "Personally I have no issue about the thought of him not being here next season - I think he will be here and he's stated he would honour his contract. "Michael has stated before he wants to be here next season. We have been talking about a new deal, but Michael touched upon it himself that if he had a 10-year contract it makes no difference. "We have security until next summer when his current two-year deal finishes and we've got a period of time to make sure we have more security on that." Swansea return to Premier League action on Saturday when they play host to Newcastle United, with the hosts looking to improve on a record of just one win in four games in the league. City are 2.10 to win the game and 8.50 to repeat the 2-1 victory they secured at St James' Park in mid-November, while they are 3.00 to keep a clean sheet. Middlesbrough manager Tony Mowbray says his players will have to work overtime to try and nullify the threat of Chelsea in their FA Cup fifth round clash. Boro will have home advantage at the Riverside Stadium today evening, with the winner of the tie having a trip to Old Trafford to face Manchester United to look forward to. Middlesbrough are 6.00 to make it through to round six and are 8.00 to win in normal time today, with Chelsea 8.50 to secure a 1-0 victory in 90 minutes. 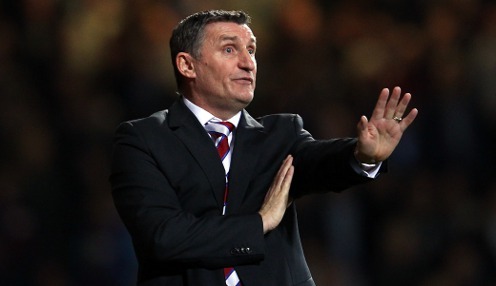 And Mowbray is aware that his side, who have won only once in their last nine games in the Championship, have it all to do against the reigning European champions. He told reporters: "When you haven't got world-class players, you have to first and foremost have a work ethic. "You have to try to condense space, you have to try not to be isolated one-on-one in certain areas of the pitch. And yet, you have to balance that off with having an attacking threat. "You have to have a way of trying to score a goal and if you have everybody back, it's very unlikely you are going to have too many attempts." The Blues will be without Gary Cahill (illness) and Cesar Azpilicueta (leg) for the trip to Teesside, while the home side will miss ineligible trio Josh McEachran, Kieron Dyer and Sammy Ameobi, while Lukas Jutkiewicz (ankle) and Jonathan Woodgate (calf) are sidelined by injury. 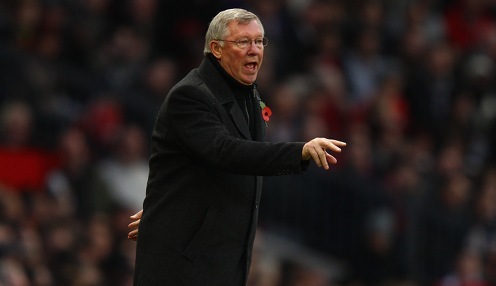 Sir Alex Ferguson's side continue to chase glory on three fronts. Nemanja Vidic has declared himself 'ready and able' to lead Manchester United down the home straight as the season enters the final three months. 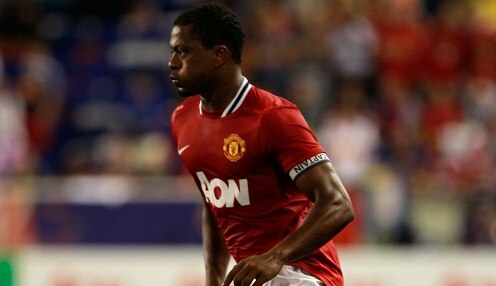 The Red Devils defender believes any concerns he had over his knees have started to disappear in recent weeks. Vidic has taken a cautious approach to making himself available since his December return from a knee cartilage operation. The 31-year-old also missed eight months of last season after suffering cruciate ligament damage to his other knee. He has continued to listen to his body in recent weeks and the Serbian feels both he and Sir Alex Ferguson's team can now reap the benefits. United are 12 points clear at the top of the Premier League table and things are set to get pretty hectic with them also competing in the FA Cup and Champions League. They are 1.02 to win the Premier League title, 3.25 to claim the FA Cup and 8.00 to secure the Champions League. Vidic insists: "I was so long without football that it was difficult once we were playing Wednesday-Saturday-Wednesday. "I have had to think whether it is good for me to play or not. Sometimes I will get a reaction and sometimes I won't. That is normal. "This management of my playing time is not a long-term thing. It is all dependent on the individual. It should be soon that I am ready for every match." Andre Villas-Boas has been thrilled with Gareth Bale's recent form. Tottenham boss Andre Villas-Boas believes Gareth Bale should be named Premier League player of the year after he grabbed the winner in the 3-2 victory at West Ham. The Wales international, who had earlier fired the visitors into a first-half lead, netted a stoppage-time winner at Upton Park as Spurs hit back from 2-1 down to grab all three points and go third in the table. The result has left Spurs at 1.53 to finish in the top four this season, while Chelsea can be backed at 1.25 and Arsenal at 1.90. When asked if he felt Bale could win the player of the year award, Villas-Boas replied: "I think so, it would be truly deserved, but it is not up to me to make that consideration. "But you have to recognise he's having a tremendous season. So he is probably a contender. He is a great, great talent and to see him keep trying in the last minute exemplifies the talent that he is. Bale, 5.00 to open the scoring against Arsenal on Sunday, moved to White Hart Lane from Southampton in May 2007 and has gone on to find the net 36 times in 136 Premier League appearances for Spurs. Since the end of January he has scored eight goals in six matches for Villas-Boas' side, including braces against Newcastle United, Lyon and now the Hammers. 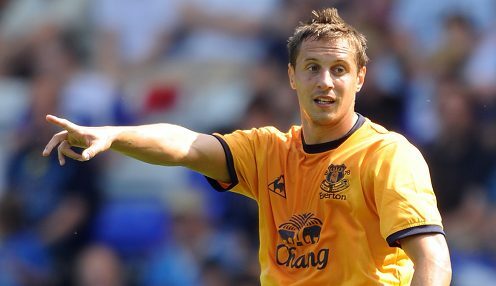 Phil Jagielka scored in the 2-2 draw at Boundary Park. David Moyes accepts that Everton's FA Cup fifth-round replay against League One side Oldham Athletic on Tuesday will start a defining stage in the season for his team. Everton have stuttered of late and Saturday's last-gasp 2-1 defeat at Norwich City has left them seven points behind fourth-placed Chelsea. They are now 15.00 to finish in the top four in the Premier League and 1.80 to seal a top-six spot. Everton, 7.00 to win Tuesday's replay 2-0, with Leighton Baines 9.50 to open the scoring, will face Wigan Athletic in the sixth round if they can get past Oldham, who hit back to draw 2-2 in the initial meeting between the two teams at Boundary Park. Moyes said: "I've always said we've had to be grafting at it constantly and grit it out all season, and that may be having an effect. But we'll get a second wind I think soon and kick on again. "I'd say, 'Look at our situation'. How many clubs don't have anything to play for at this stage of the season? We have, we're still in a really good position. We're sixth in the table, we have a replay in the FA Cup at home to get into the quarter-finals. "It's a big game for us, for the fans. I think we're in a period of big games, albeit not maybe the top teams, but there's a period of big games coming up. I think we're in a period of maybe what direction our season is going a little bit, so we have to look at that and see." Tottenham Hotspur star man Gareth Bale believes that his club can now claim to be stronger than North London rivals Arsenal. Spurs are currently one point better off than the Gunners in the race for fourth place, with Bale and co preparing for a derby clash with West Ham at Upton Park Today evening. And Bale has stoked the fires of the North London rivalry, with Arsenal and Spurs set to meet this Sunday, telling The Sun: "I think five or 10 years ago Arsenal were always miles ahead of Tottenham, but that has changed in recent years. "Over the past few seasons we have closed that gap and I think now we have overtaken them on the pitch. I think we have the stronger squad. "Arsenal may say they are still ahead of us, but whatever people's opinions I don't think anyone can deny we are up there fighting with them on merit now." Bale, who has scored six times in his last five games for Spurs, is 6.00 to open the scoring against the Hammers, with Tottenham 2.25 to win the game and 1.72 to go on and secure a top-four finish. Spurs have lost just once in their last five league visits to the Boleyn Ground and earlier this season earned a 3-1 victory at White Hart Lane thanks to a Jermain Defoe double and one from Bale. 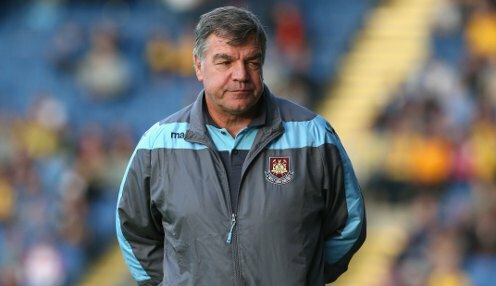 Manager Sam Allardyce accepts that his West Ham side need to find a way of stopping Gareth Bale when they take on Tottenham Hotspur on Today evening. Bale has netted 17 goals in all competitions for Spurs this season, as the White Hart Lane outfit chase a top-four finish which would likely see them play in the Champions League next season. And the Welsh winger, who has played in a more central role in recent times, is clearly a major concern for Allardyce, whose side have won just once in their last six league games. He told reporters: "Recently they've lost their leading goalscorer (Jermain Defoe) and (Emmanuel) Adebayor has been away at the Africa Cup of Nations, so from a goalscoring point of view they've had to rely on one man and one man only to come up with the goods. "That's Gareth Bale and he's been the major difference between Tottenham and the teams they've played recently. "Not only has he scored very important goals, but they've been stunning goals at that. He's going to need some looking after on Today night." The Hammers are 3.50 to win the game at Upton Park on Monday evening and are 4.00 to keep a clean sheet, while Bale is 6.00 to open the scoring. Manchester United are sweating on the fitness of striker Robin van Persie after the Dutchman suffered a thigh injury in the 2-0 victory at Queens Park Rangers. Van Persie, 1.80 to be Premier League topscorer this season, had to be replaced shortly before half-time at Loftus Road after colliding with a pitchside camera, with boss Sir Alex Ferguson hoping that the damage proves not to be too serious. He told reporters: "He collided with a camera. It seems he hit the base of it and he has got a very bruised hip." Ferguson also hinted that Van Persie would miss this weekend's home Premier League clash with Norwich City, but he hoped to have the Dutchman available for the crunch Champions League showdown with Real Madrid on Tuesday 5th March. "We will assess him tomorrow. Hopefully he will be alright for the Real Madrid game," Ferguson added. "He tried to play on, but it was obvious he wasn't going to make it." United's win at Loftus Road moved them 15 points clear at the top of the table, with Red Devils now 1.02 to secure the title, 3.25 to win the FA Cup and 8.00 to secure Champions League glory. Jermaine Jenas' arrival at Loftus Road has done little to boost QPR's fortunes. QPR chairman Tony Fernandes has once again said he has no intention of walking out on the club even though their hopes are avoiding relegation are fading. Harry Redknapp's team are seven points away from safety following Saturday's 2-0 home defeat to runaway Premier League leaders Manchester United with only seven games of the campaign remaining. However, QPR do have a series of fixtures against teams in the bottom half of the table, so Fernandes has not given up hope just yet. QPR are 1.12 to be relegated to the Championship this season and 1.72 to finish at the foot of the Premier League table. Fernandes wrote on Twitter after the defeat to Sir Alex Ferguson's team: "I am optimistic as ever. "I'm still smiling. It's the next eight games. Lots of good things. Good chat with Harry on the future come what may. We know what we have to do. Many points to play for. "I'm responsible for this mess ultimately. I have heard the fans and I will stay and fix it. I really love QPR. We can sort this out. "Not sure how many times I can pledge. I'm pledging. Ain't going anywhere as long as the fans want me." Manchester City powerhouse Yaya Toure has admitted that he would love to finish his career at the Etihad Stadium, having been a big hit since his arrival from Barcelona. 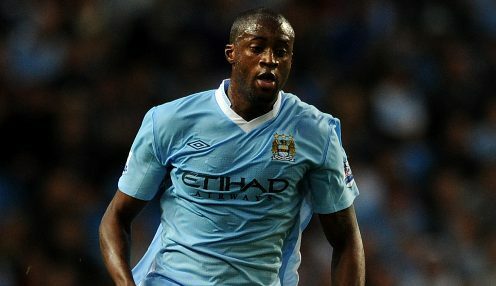 The 29-year-old Ivory Coast midfielder joined the Citizens in the summer of 2010 and has since helped the club win both the FA Cup and the Premier League, with his current contract running until the summer of 2015. Toure told The Sun: "I want to give all to this club for a long time. It's quite strange because all my career I've been with clubs for two or three years. "Normally I change clubs after one or two years, but it's different here. I want to stay longer. "Sometimes you're not happy with something or you don't feel comfortable in the city and you need change, but not here. Of course I'd like to end my career here." City have drifted 15 points behind Manchester United in the race for the league title this season and are now 19.00 to retain the crown they won on goal difference last term. The Citizens' most realistic prospect of silverware lies in the FA Cup, where they will host Barnsley in the sixth round. City are 2.62 to win the FA Cup for the second time in three seasons, with Toure having scored the only goal of the 2011 Wembley showpiece against Stoke City. 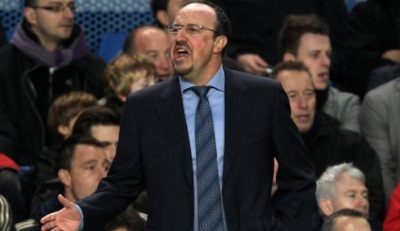 Chelsea manager Rafael Benitez has set his sights on finishing above Sunday's opponents Manchester City in the Premier League. A win for the Blues at the Etihad would take them to within a point of the current champions, who currently sit in second, and Benitez has warned City they would not be content to settle for third place. However, he has conceded the title is now Manchester United's to lose. Chelsea are 13.00 to win 2-1 on Sunday, and are 5.00 to keep a clean sheet. Fernando Torres is 7.50 to score first. "To finish as high as possible is a challenge," he said. "So we'll try to finish second if we can, you never know - this is a massive game, so let's see where we are at the end. Until the last week, we may be fighting each other. "My idea is to think about this one, because it will make the difference. If you are closer to City, you have to chase the second position. "The other one (winning the league), it depends on United. If they don't lose games and drop points it'll be difficult. We just have to concentrate on us." Benitez is likely to field a much-changed line-up from the side that drew 1-1 against Sparta Prague on Thursday evening, with Frank Lampard, Branislav Ivanovic, Ashley Cole, David Luiz, Eden Hazard and Demba Ba all pushing for a start. Michu admits Swansea are not accustomed to going into games as favourites but insists they will not change their style against Bradford in the Capital One Cup final. The Swans are 1.16 to lift the cup in their first major Wembley final, while Bradford are at 5.50. However, despite their lowly league status, Michu is wary of a side that has dumped Wigan, Arsenal and Aston Villa out of the competition. "It will be different now as I know we are favourites, but we are not going to change," said the Spaniard, who is 4.00 to score first on Sunday. "We will try to keep the ball, create chances and take them on. I know Bradford are League Two and we are in the Premier League but it is one game, 90 minutes and anything can happen." Both Michu, who has scored 18 goals so far this campaign, and his manager Michael Laudrup have been linked with moves away from Swansea. 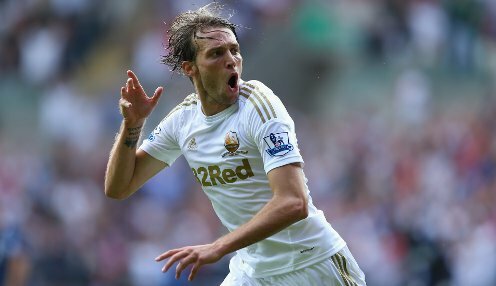 Michu refuted any intention to leave by agreeing a new contract until 2016 last month, but Laudrup's current deal ends in 2014 and he is yet to open negotiations over an extension. However, the forward hopes he will commit his future to the club. "I didn't speak to him or ask for a guarantee about his future when I signed my contract, I just wanted to stay here and maybe if we win the cup we can go into Europe and I hope to stay to be a part of that," he said. "In the summer I hope the gaffer stays here and I can stay here too." 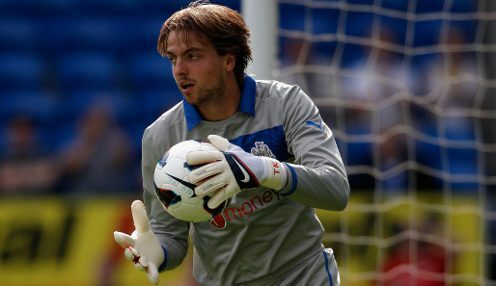 Newcastle have suffered a blow after confirming goalkeeper Tim Krul is to see a specialist about his ankle injury. The 24-year-old picked up the knock during Thursday's 1-0 win over Metalist Kharkiv in the Europa League and left the stadium on crutches. Manager Alan Pardew had hoped he would be available for Sunday's Premier League clash with Southampton, but he is now set to miss out. A statement on the club's official website read: "Newcastle United can confirm that Tim Krul was assessed by club medical staff on Friday and sent for a scan on Friday afternoon after sustaining an ankle injury in Thursday night's Europa League match against Metalist Kharkiv in the Ukraine. 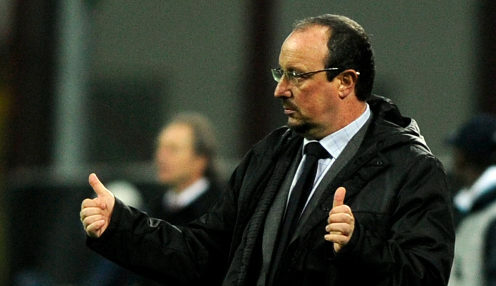 Newcastle are level on points with Southampton but one place below them in the table on goal difference. A 1-0 win for the Toon on Sunday can be backed at 8.50, while they are 3.25 to keep a clean sheet. A goalless draw can be backed at 11.00. Cheick Tiote is set for a return after missing the Metalist Kharkiv game through illness, while David Santon could feature following an ankle injury. Vincent Kompany could make his City return against Chelsea on Sunday. Vincent Kompany will undergo a fitness test on Saturday morning to check on his injured calf. And Manchester City's defensive skipper will go straight back into the starting line-up for Sunday's home clash against Chelsea should he come through it. City are 1.95 to take all three points on Sunday, Chelsea can be backed at 4.00 and the draw is 3.75. The Belgian international has been missing for the last month, a run which has also coincided with Roberto Mancini's team slipping 12 points off the title pace. City could be even further off it, should leaders Manchester United win at Queens Park Rangers later today and they fail to take a maximum haul of their own against Rafa Benitez's outfit. Mancini is willing to take the risk on Kompany - even if he is short of full match fitness - despite his calf strain causing him problems all season. Garerh Barry is also a doubt with an ankle problem and James Milner could come in to the City engine room. Mancini insists: "When we lost Vinny (Kompany), it has been difficult. We will see. It has taken longer than we thought. The calf is a strong injury because it is hard to recover from this." Fulham boss Martin Jol believes his side will have to find a way to cope with Stoke's strengths if they are to take all three points on Saturday. The Cottagers host the Potters in the early kick-off and can be backed at 2.10 to secure the win. Jol has been critical of Stoke in the past, as have plenty of other Premier League managers, but the Dutchman admits he admires Tony Pulis' side for playing to their strengths. Stoke are 4.00 to take all three points and the draw is 3.30. Jol believes Stoke are a "typically English" side who are masters at stifling their opponents. "Stoke pressure you and simplify their football. They do not let you play your own style and you cannot blame them for that," said Jol. "They are successful because they stick to a way of playing that suits them. It is typically English. You don't see anything like in Europe. I like people and teams who have made a certain choice about something and then stick to it." Fulham will be without Kieran Richardson due to a calf injury but Sascha Riether is back in contention following illness. January signing Brek Shea, Marc Wilson and Cameron Jerome are all available for the Potters following injury but Michael Owen is a doubt with a thigh problem. We offer the best tips to help you win at sport betting. Our tips and predictions are made by professional punters and can bring significant gains. Sports betting can be a way to win. For most people, betting is only one way to relax, a distraction, but there are people like you who see sports betting as an efficient way to invest and gain profit. With the tips that we offer daily your profits will increase considerably. Arsenal manager Arsene Wenger says that he has not considered quitting the club for one second, despite the Gunners' long wait for silverware seeming set to continue. Wenger has come under pressure in recent times after seeing his side crash out of the FA Cup at the hands of Blackburn Rovers, while a midweek Champions League defeat to Bayern Munich turned the heat up further. However, Wenger, whose side are now 176.00 to win the Champions League this season, insists that he is going nowhere for the time being. Aston Villa boss Paul Lambert is focused on securing Premier League survival rather than rumours that leading scorer Christian Benteke could leave the club this summer. The 22-year-old Benteke has netted 15 goals in all competitions in his first season for Villa, including six in his last five games. However, despite the striker's efforts, Villa are just one point clear of the relegation places ahead of the weekend action, which sees them travel to the Emirates Stadium to take on Arsenal on Saturday. Lambert, whose side are 5.75 to gain a draw in North London and 10.00 to keep a clean sheet, told reporters: "Christian is playing very well for us and that's the main thing. Michael Laudrup's Swansea City stand in the way of Bradford City and Wembley. Bradford City manager Phil Parkinson has put winning the Capital One Cup final to the top of his club's priorities, as the Bantams prepare to take on Swansea City at Wembley. City still have hopes of gaining promotion from League Two this season, but this weekend they will turn their attentions to trying to make history by becoming the first team from the fourth tier of English football to win the competition. "All along the league has been our priority. I cannot hide away from that," Parkinson said. "But we are in the final at Wembley and have a chance of getting into Europe. 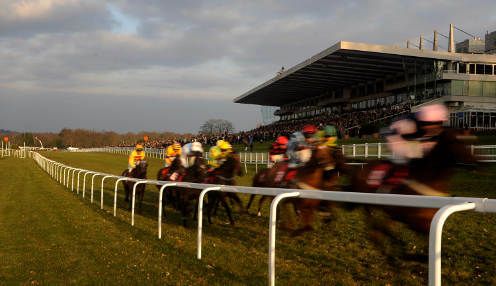 Get the going for today's horse racing meetings with Best Odds Guaranteed at bet365. Going - Hurdles: Soft, Good to Soft in places; Chase: Good to Soft, Good in places. Going - Soft, Heavy in places. Sergio Aguero has his sights set on a win over Chelsea on Sunday. 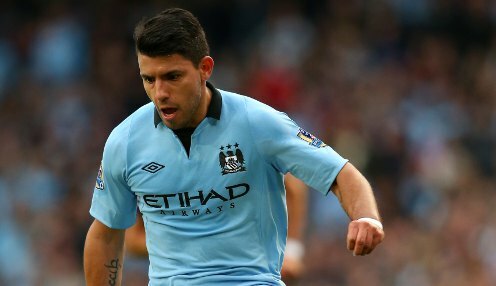 Sergio Aguero feels Manchester City's FA Cup win over Leeds can reignite their faltering league campaign. The blues striker admits there has been a cloud hanging over the Etihad Stadium in recent weeks. Roberto Mancini's side could find themselves 15 points behind leaders Manchester United at the top of the Premier League table before they host Chelsea on Sunday, as United travel to QPR on Saturday. But the Argentine has been able to sense an upswing in the mood, following last weekend's 4-0 victory over Leeds United in the FA Cup. 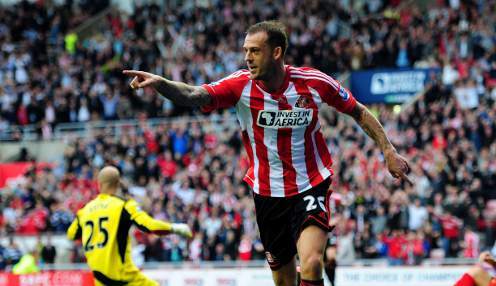 Sunderland striker Steven Fletcher has insisted he is happy to adapt to any formation following the arrival of fellow forward Danny Graham. Black Cats boss Martin O'Neill boosted his attacking option at the Stadium of Light by signing Graham in the January transfer window. Fletcher, who has been Sunderland's main attacking threat this season, has no problem with competition for places or playing alongside the club's new signing. The Scotland international told the Sunderland Echo: "I'm happy to play on my own up front, although I know not everyone is, but, for me, I quite like the added pressure of the extra responsibility. I quite enjoy it. But, having said that, I'm OK in any system. "It's good to have Danny here. We've spoken with the gaffer about it and it's up to him to decide what formation he wants to play. But at least now he knows he has all sorts of options in terms of how to use me and Danny and Stephane Sessegnon. "That's always good because not many managers have options, but I think he has them in abundance, so it's good for him and us." 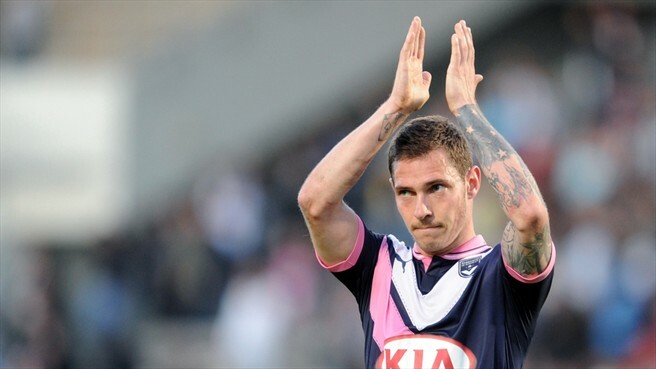 Ludovic Obraniak's first-leg strike secured a crucial draw for Bordeaux. While conceding FC Girondins de Bordeaux were fortunate to draw the first leg at FC Dynamo Kyiv, Ludovic Obraniak said his side "must remain confident" for the return fixture. FC Girondins de Bordeaux schemer Ludovic Obraniak admitted UEFA Europa League last-32 opponents FC Dynamo Kyiv were physically and technically superior during their first-leg draw in Ukraine. However, with home advantage and a good helping of self-belief, he remains hopeful of turning the tables in the return fixture on Today.bet365 100% Euro Soccer Bonus.